This is a post written by me on behalf of Lunchbox for a brand I love and trust. All opinions are 100% mine. Thanksgiving is almost here!!!!! I cannot wait!!! I love it all, the turkey, the cranberry sauce, the pie! Yum!!! My favorite is the leftovers!! Leftover turkey sandwiches, leftover pie for breakfast (don’t judge). The internet is full of what you can do with your leftovers, from turkey salad, to soup to casseroles we’ve seen it all! I am going to tell you about a leftover from Thanksgiving that we like to transform. Early Thursday we get started cutting potatoes for mashed potatoes and with our large family we like to make sure we have enough. Problem is usually we end up with too many! They won’t fit in the pot! 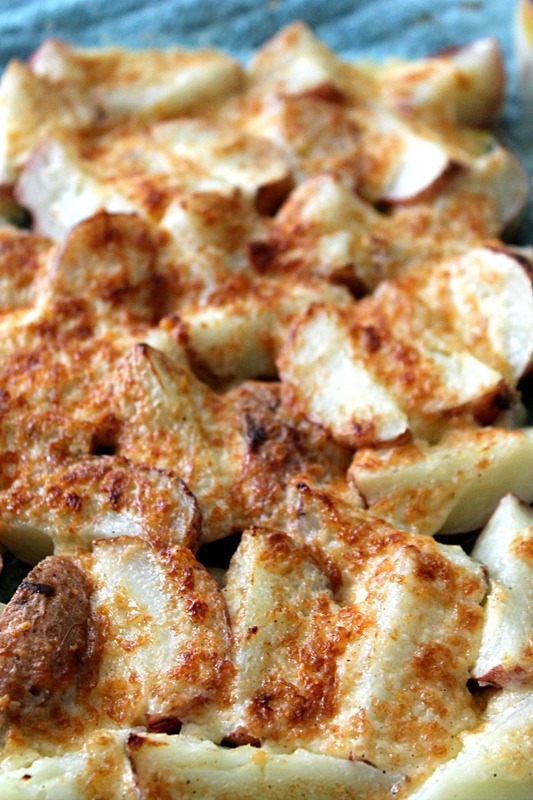 So our favorite thing to do with them is these Creamy Parmesan Potatoes. 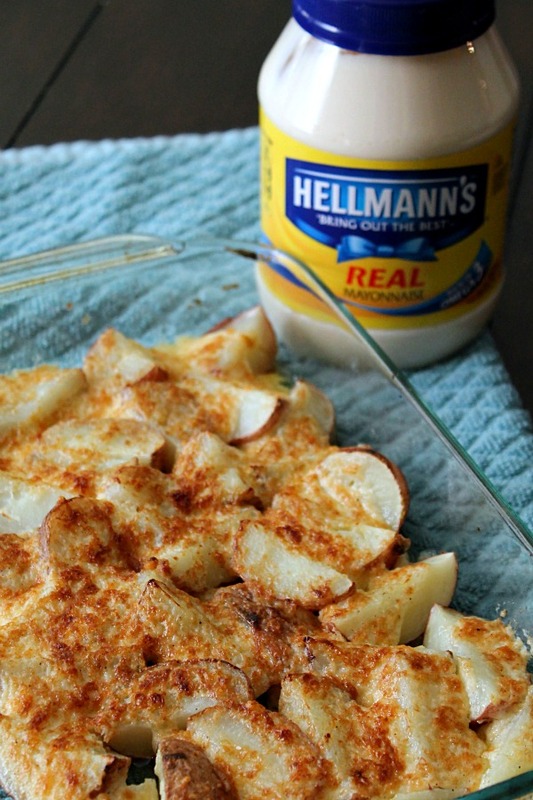 Red quartered potatoes are topped with a creamy sauce made with Hellmann’s Mayonnaise, onion and Parmesan cheese. They are heavenly!! 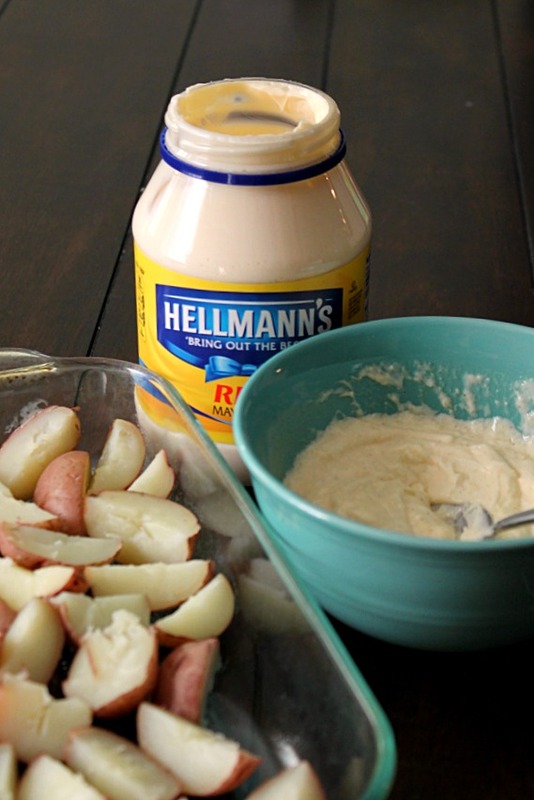 We are huge Hellmann’s fans and of course it is what goes on those next day turkey sandwiches (or midnight snack sandwiches ;) and I love using it in recipes like this. Now you don’t have to wait until you have leftover to make this yummy dish, it is the perfect side dish for any meal and it makes a great Thanksgiving dish. Also if you find yourself with too many leftover already mashed potatoes, skip the butter in the recipe and stir everything into the mashed potatoes and bake them in a dish for another spin on this fabulous recipe! Lay your potatoes in a glass dish. 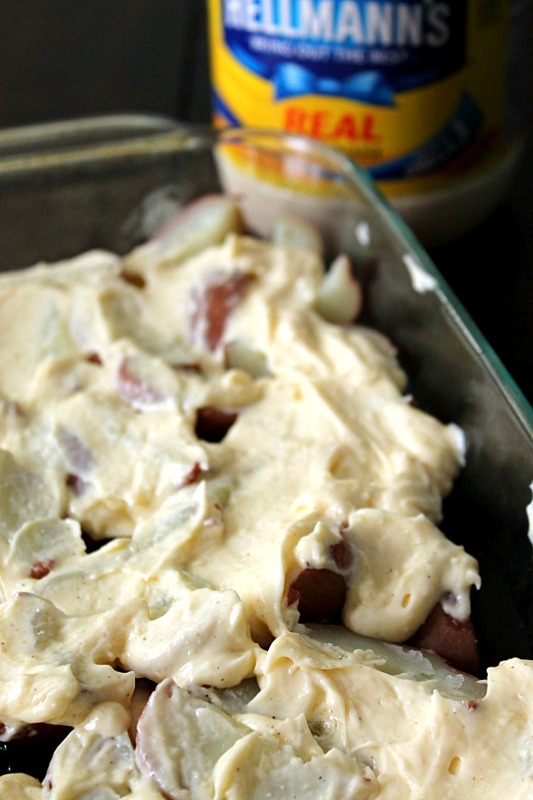 Mix the butter, mayonnaise, cheese, onion and pepper together. Pour over the potatoes and cover with foil and bake at 350 for 30 minutes. Uncover and broil until top is brown. Looking for more great leftover ideas? 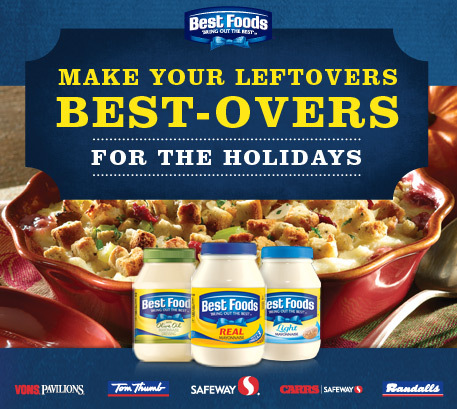 Give your leftovers a Best-Over and check out tons of ideas from Hellmann’s HERE! 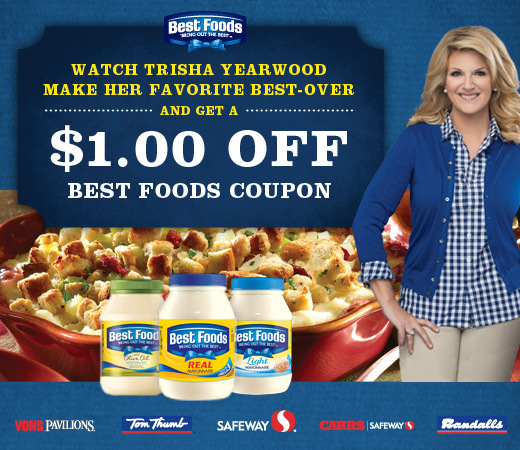 While you are there check out Trisha Yearwood’s favorite Best-Over and get $1.00 off coupon to use at Safeway! Now that you have done all that hard work cooking, you deserve a little treat!! 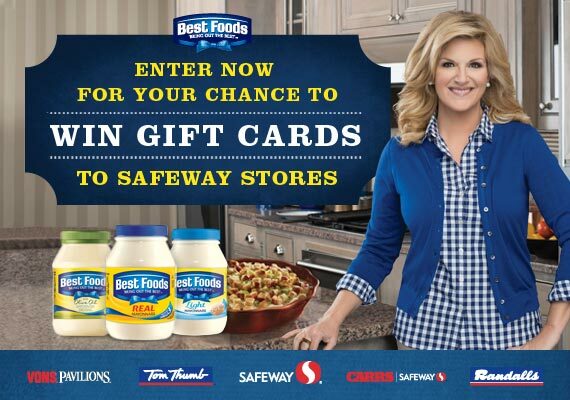 You can head on over to Best Overs site and enter to win a Safeway gift card valued from $15-$500! Or you can enter below for your chance to win a $25 Safeway Giftcard!! These look so crazy delish!! !